Last week, The Junto Institute and Startup Institute Chicago held a town-hall discussion with 28 founders and leaders on the topic of "The Struggle: Finding, Hiring, Leading, Managing & Firing People". The event was hosted by SI Chicago as part of our new partnership with them. 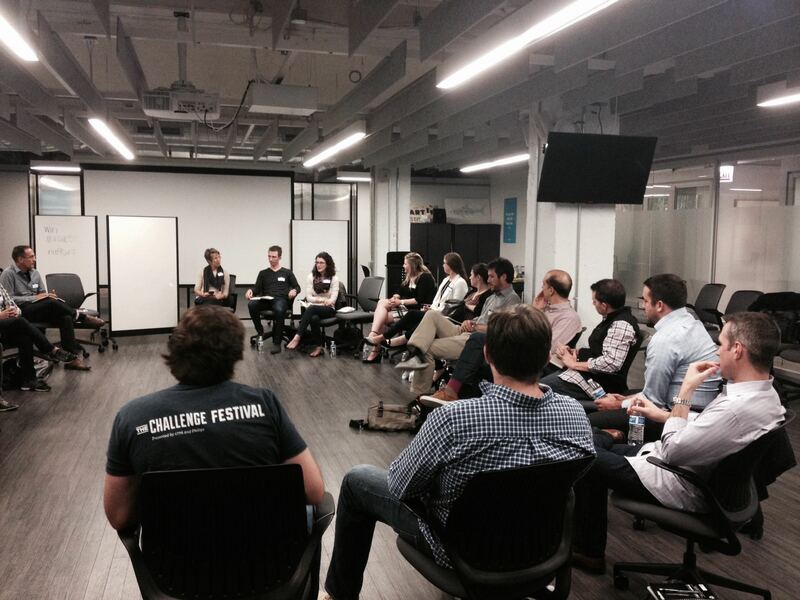 Based on our experience, the subject of talent is becoming increasingly important to startups. They want to get better at hiring and firing, effectively managing performance, and learning how to build a healthy culture. Here are some takeaways from the discussion we had with the participants. The attendees shared experiences finding strong talent through employee referrals, LinkedIn prospecting, college job boards, recruiters, meetups, tech discussion boards, and local startup communities like BuiltinChicago.org. They also talked about how job descriptions can help narrow the funnel of incoming candidates, and that hiring automation tools may not be appropriate for startups which are still trying to figure out what types of people are the best fit for the company. Furthermore, there were mixed experiences with recruiting firms, one sharing that their best hire came from a recruiter and was worth the fees, while others had the opposite experience. The founders talked about the importance of communication: knowing what people are working on and providing adequate instructions for them. Several talked about the value of the question, "What do you need from me to help you succeed?". Also, we discussed the importance of The Peter Principle, which states that people will rise to their level of incompetence. What this means for fast-growing companies is that some people who were a strong fit in the initial stage may not be a good fit in the growth stage, simply because they can't meet the required performance standards. Overall, everyone agreed that startups need to go beyond simple team outings and surface-level culture like foosball tables and corporate values. Two attendees said they have employees do training sessions for the rest of the team, either during regular staff gatherings or during lunch and learn sessions. Another talked about job partnering, when two people who are in different functions spend 1.5 hours with the other doing that person's job together. Yet another company talked about how they're integrating emotional intelligence training for all employees, giving a common language to discuss how people interact with each other. Finally, to build trust and autonomy, several attendees talked about the importance of giving people the room to make mistakes but to ensure they learn from them to avoid repeating them. If you want to learn how to get better at managing and leading your company, check out JuntoDay, an exclusive learning event in Chicago on October 22 that will feature sessions on Hiring & Culture, Sales Process & Strategy, and Operations & Scaling, capped off with a Founders Dinner. Use promo code JuntoBlog for $100 off general registration.